Hartford Prints! 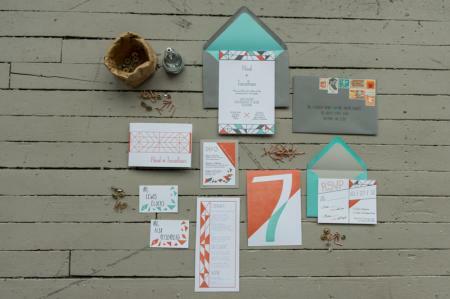 is a family-run paper goods shop and studio that specializes in distinctive letterpress for weddings, special occasions, personal stationery, and more. Sisters Addy Gale, Callie Gale Heilmann, and Rory Gale have joined their creative forces to produce paper that blends modern typography, fun design, and offbeat composition. Originally conceived as a community art studio and educational space by Art Director, Addy Gale, Hartford Prints! stays true to its mission of providing singular paper products and promoting our local community.